This cat thinks that this box of puzzle pieces is her new litter box. She walks around in it, sniffs, and has tried to pee in it several times. When her humans sit down to do a puzzle, she waltzes over and tries to pop a squat in the box. 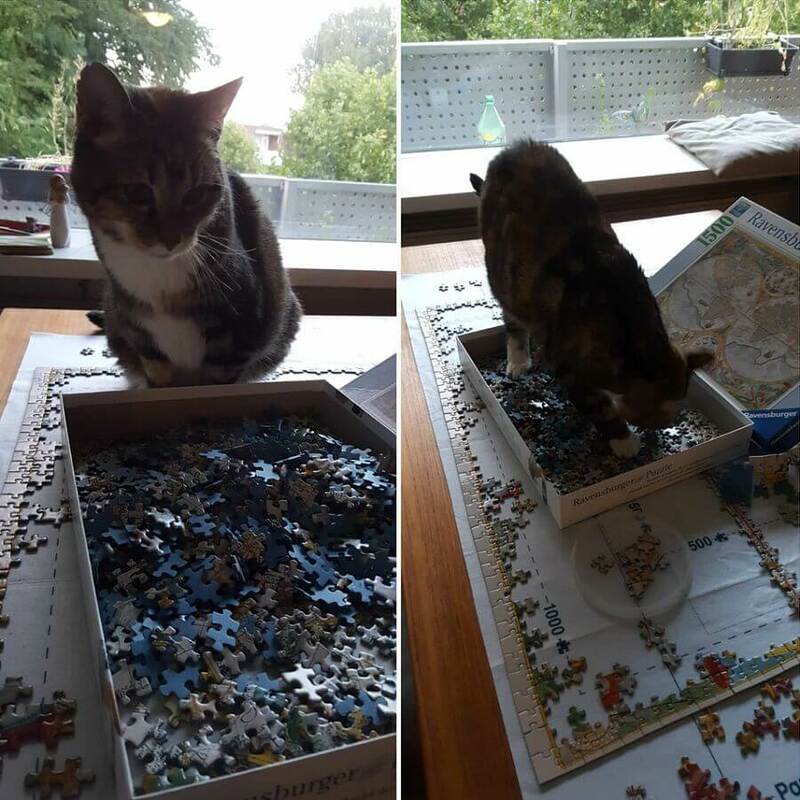 Doing puzzles is supposed to be relaxing and enjoyable, but every time this cat’s humans reach for a new piece, they have to hope that the cat didn’t use the box as a relief area. It doesn’t matter that the box is on the kitchen table; she thinks it’s her new potty.